This shop has been compensated by Collective Bias, Inc. and its advertiser. All opinions are mine alone. #TFMEasterBasket #TheFreshMarket. 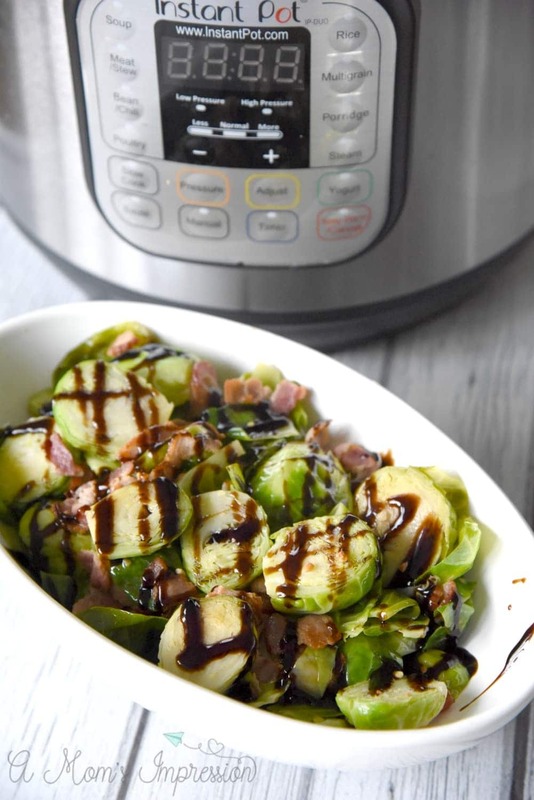 These Bacon and Balsamic Instant Pot Brussels Sprouts are not only tasty, they can be made in about 15 minutes using your pressure cooker. This easy recipe will delight everyone at your table! Easter has always been one of my favorite holidays of the year. I love that the weather finally takes a turn for the better, and egg hunts have always been a lot of fun in my family. 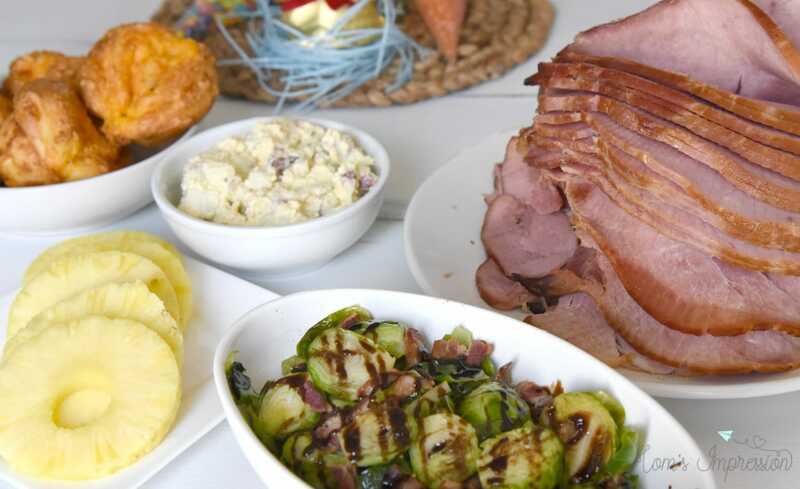 Easter brunch is filled with some of my favorite foods, ham, potato salad, warm bread and brussels sprouts. 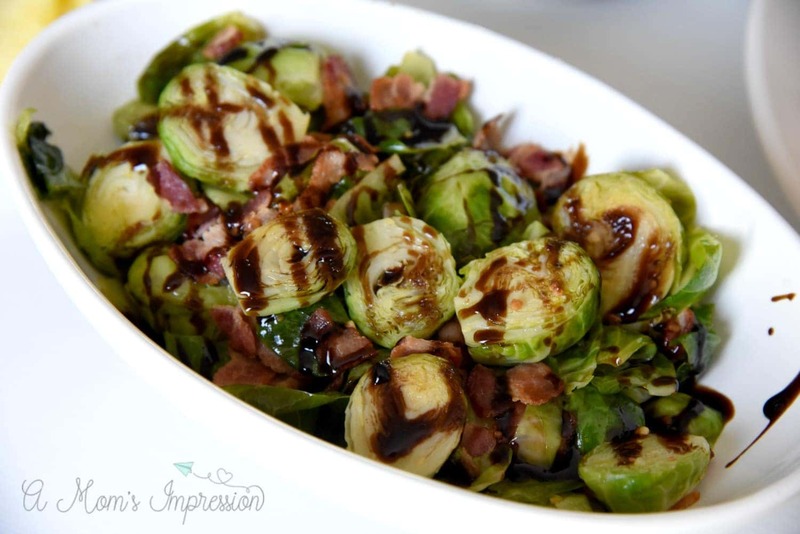 I have always loved brussels sprouts ever since I was a child. I never understood why people claimed that they didn’t love them. When made properly, they taste amazing! Brussels Sprouts are always on our table for Easter brunch. 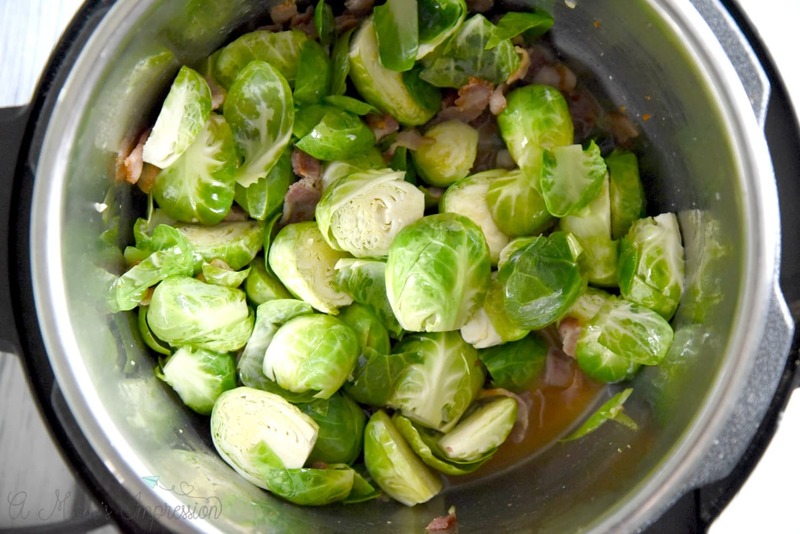 This year I decided to take one of my favorite brussels sprouts recipes and adapt it to the pressure cooker. Converting your favorite recipes to the Instant Pot is not as difficult as you might think. This particular recipe is made even easier thanks to a recent trip to The Fresh Market. 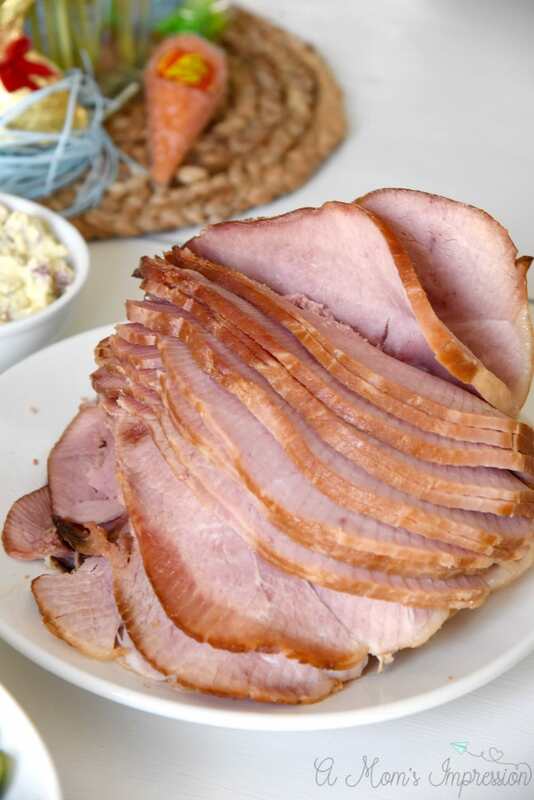 This year The Fresh Market is making Easter dinner prep so much easier! From seasonally fresh produce to exceptional meat and seafood, signature baked goods and carefully curated organics, all the foods you love are waiting for you at The Fresh Market. I love visiting my local store and picking up something for dinner. We are a huge fan of their weekly Little Big Meals and get them at least once a week. 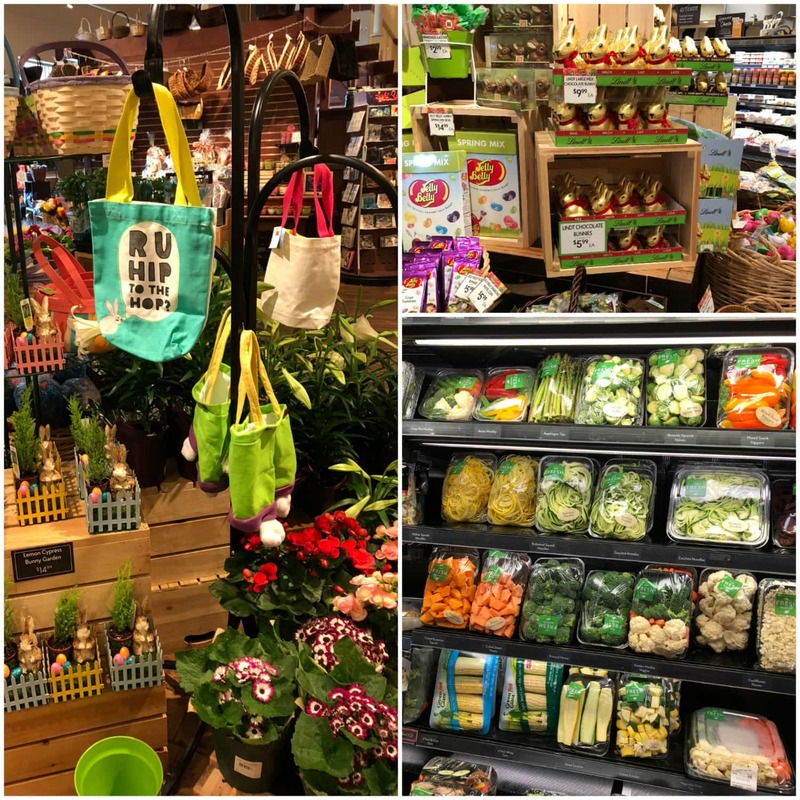 This Easter, fill your basket with fresh produce, premium meat and seafood, specialty candy and bountiful blooms from The Fresh Market. They have an outstanding selection of delightful treats for your family, making it easy to celebrate the season. 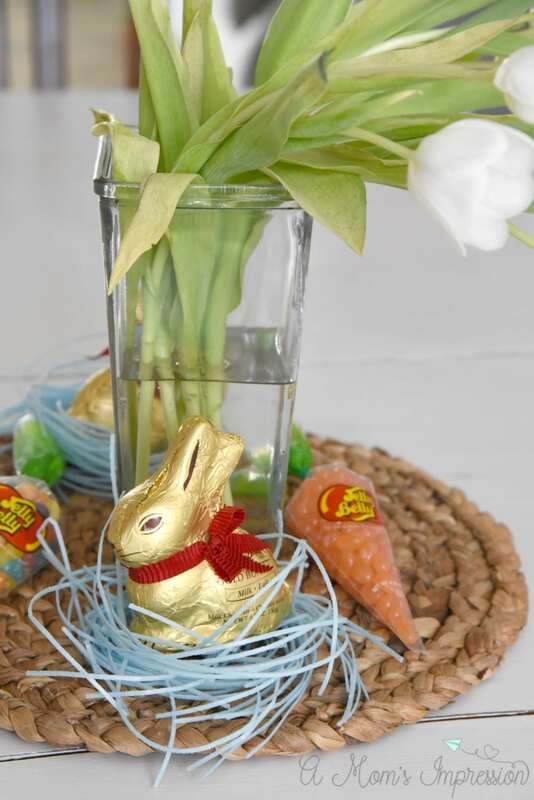 We love tulips in the spring, so we got some along with yummy Lindt Chocolate Easter Bunnies to decorate our Easter table. The Fresh Market also takes a lot of prep off of your plate with pre-washed and cut vegetables ready to go into your favorite recipe. I get my pineapple already cored and ready to slice for our ham right in the refrigerated section of the store. I LOVE these halved Brussel sprouts that make meal prep so much faster. You can get some help when it comes to Easter dinner this year too! 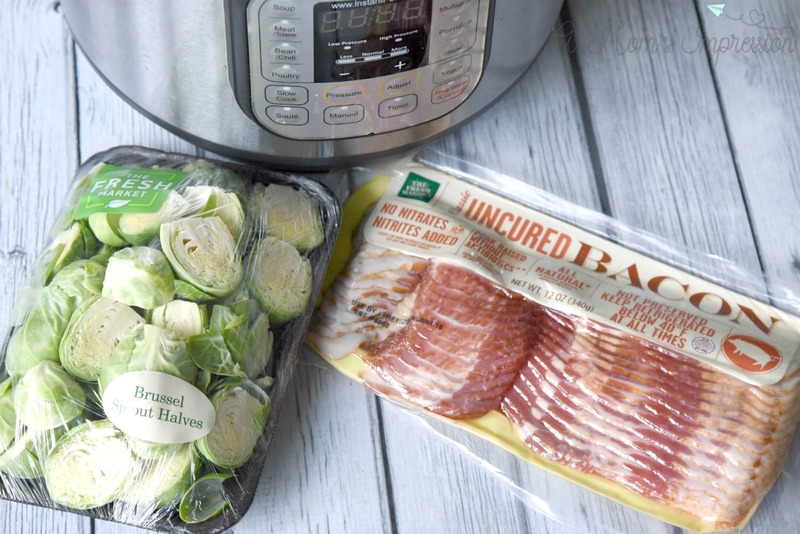 Check out the details about The Fresh Market’s Easter Meal Kit under this Instant Pot Brussels Sprouts recipe! Turn your pressure cooker to the saute function and add oil to the pan. Add bacon and garlic and cook until crispy, about 4 minutes. Turn pressure cooker off. Add brussels sprouts and chicken stock and stir. 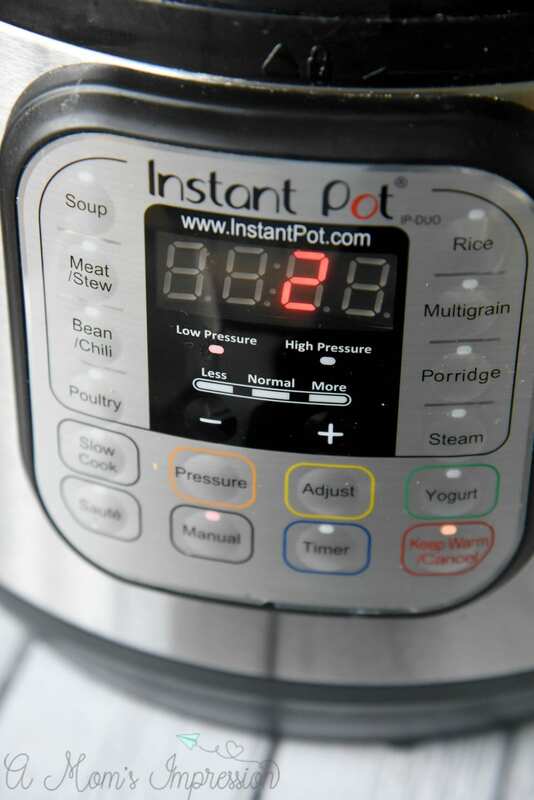 Turn Instant Pot on manual mode. 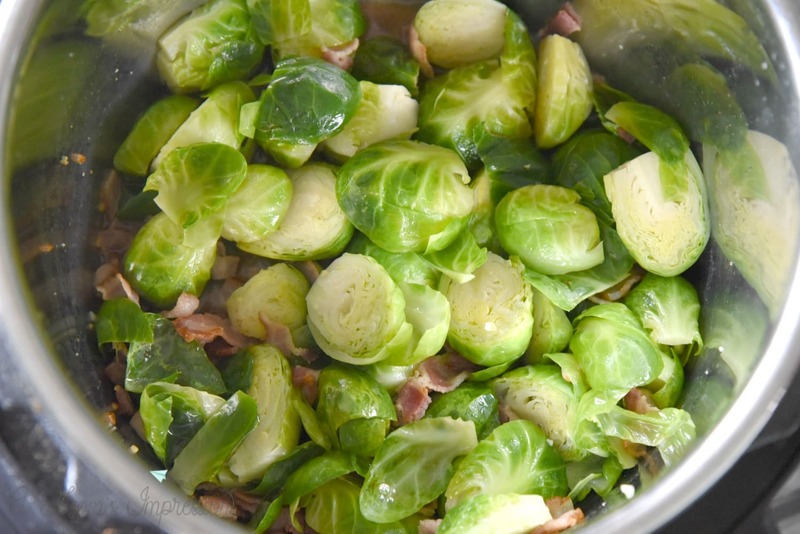 Cook under high pressure for 2 minutes for a bit of crisp in your sprouts. (use 3 minutes if you like your brussels sprouts more cooked). It will take a little while for the pot to come to pressure. When the pressure cooker is done cooking, quick release the pressure. 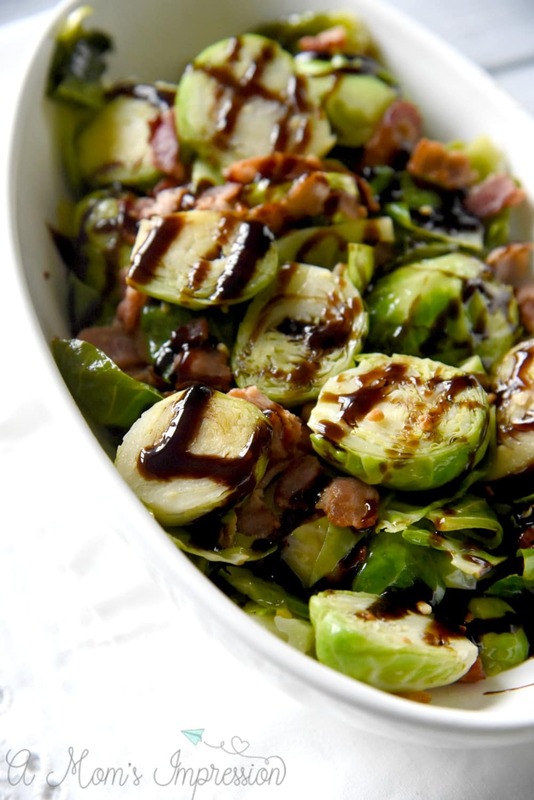 Spoon the brussels sprouts into a serving dish and drizzle balsamic glaze over the top. 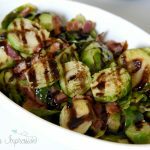 These Instant Pot Brussels Sprouts are a perfect side dish to complement our spiral sliced honey ham. When paired with a nice deli salad, bread, and pineapple slices, my Easter dinner has never been so easy! 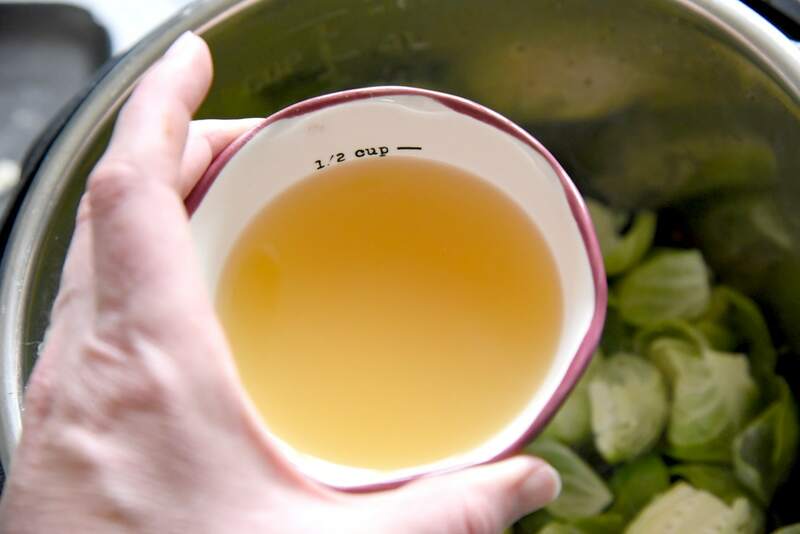 If you love cooking vegetables in your pressure cooker be sure to also check out our Instant Pot Cabbage recipe! 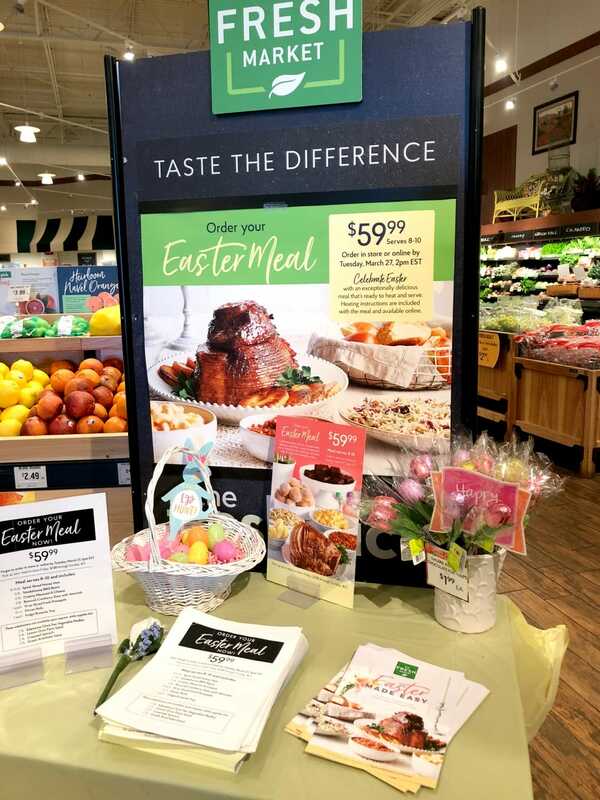 This year we ordered our Easter Meal Kit for $59.99 from The Fresh Market. Each meal feeds 8 to 10 people and can be picked up in-store from March 29th to Sunday, April 1st (until 1 pm). You can preorder it through March the 27th. You can make some substitutions, be sure to check out the ordering page for more information. Turn your pressure cooker to the saute function and add oil to pan. 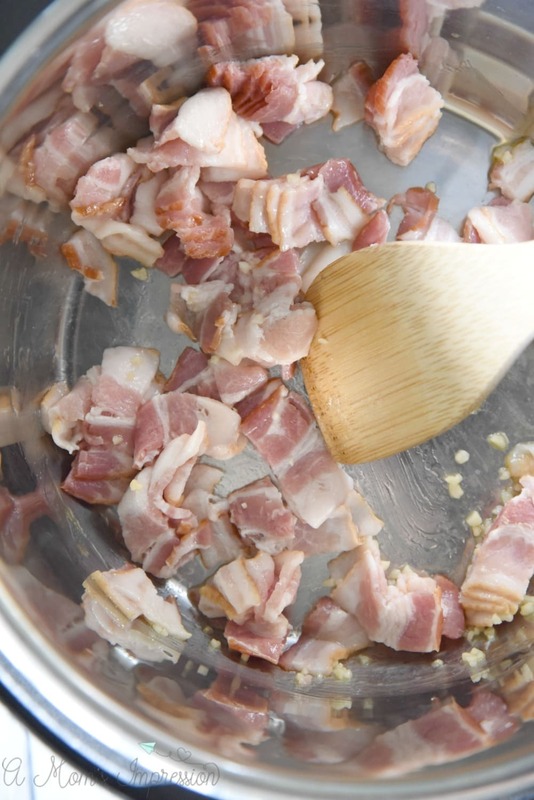 Add bacon and garlic and cook until crispy, about 4 minutes. Turn pressure cooker off. *Note: Cooking time does not include the time it takes for the pressure cooker to come to pressure. What is the balsamic glaze? I used a store-bought balsamic glaze you can find at any grocery store, but you can make your own by simmering Balsamic Vinegar with some brown sugar on a stovetop and reduce by half. If I am doubling the recipe, should I double the amount of liquid or leave it at 1/2 a cup? You can leave it at a half a cup.